These are the forthcoming concerts for the 2009-10 season, all concerts taking place in the Market Hall in Appleby. If you'd like your own copy of the concert dates to print off and put on your notice board at home, click HERE. We've a balance of familiar faces and first appearances in Appleby, with a Portuguese guitar and Spanish guitar plus string quartet from the North East, a powerful accordion and violin pairing plus the Northern Sinfonia's principal players all making their Appleby debut this season. Brass bands don't come any better than the "Imps" - the Yorkshire Imperial Urquhart Travel Band - and we've persuaded them to brighten up a Sunday evening in January once more. We'll also be welcoming back the talented clarinet quartet 'Chinook'. We can just about guarantee that there will be something in their beautifully arranged or specially composed works to appeal to everyone in the audience. Andy Jackson Guitarra Portugesa, Viola Braguesa and guitar with string quartet. NOTE: Programme information is often garnered well ahead of a concert and sometimes, as we all know, the best laid plans of mice and men oft gang agley...and so, whilst given in good faith, programmes sometimes do change for a variety of reasons. If we have prior knowledge, we shall use this website to communicate any such change but the organisers are not able to accept liability for said change if it occurs. By all means let us know if it might have been a serious disappointment - we like to listen to and learn from our concert-goers. Chinook Clarinet Quartet is one of the leading chamber music ensembles in Britain. Their dynamic and innovative performances delight audiences by offering some of the most flexible and varied programmes on the concert circuit today. Their vast repertoire extends from arrangements of famous classical works to various jazz styles and contemporary music featuring many of their own commissions. Mazaika Duo is a perfect, yet totally unconventional marriage of violin, accordion and voice, with performances full of fun, excitement and virtuosity, with emotional depth and musical subtlety. Their twinkling humour, rapport with the audience and with each other gives the audience an intoxicating experience which they will not easily forget. Mazaika can take you on a troika into the heart of Russia, where you will experience the joy and sorrow of Russian folk and the fiery passion of the gypsy violin. Yorkshire Imperial Urquhart Travel Band. You can probably count on the fingers of one hand the number of brass bands famous enough to be known by their nickname. Yorkshire Imps is undoubtedly one of them. Hailing from the county that has contained many of the world's finest bands for over a century and a half, The Imps have earned the right, both in the contest arena and on the concert platform, to be regarded as quite simply one of the best in the business. In Dr Roy Newsome's ‘The Modern Brass Band' (Ashgate, Aldershot 2006), they are listed as one of the top 10 bands of the second half of the 20th century. Andy Jackson with string quartet. 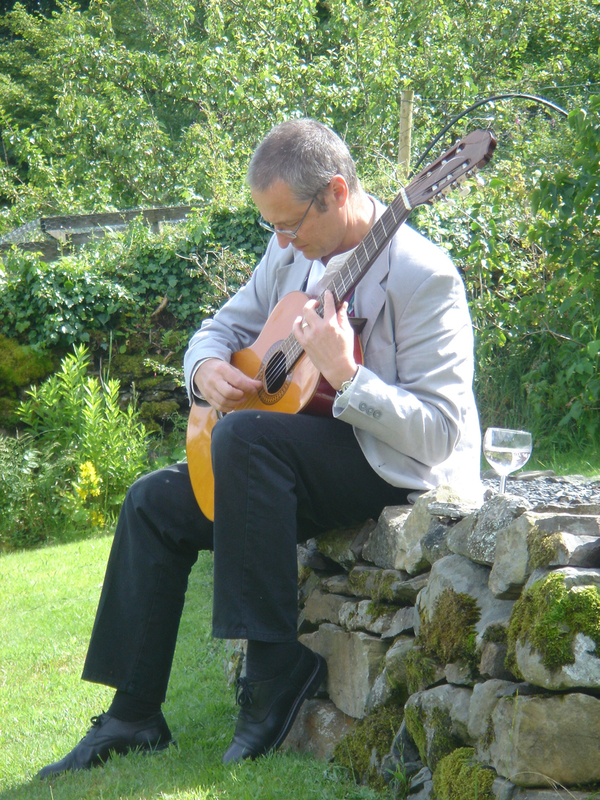 New to our Appleby stage, County Durham based composer, conductor and musician Andy Jackson spent many years visiting Spain and Portugal researching guitar music and studying with the guitarra portuguesa virtuoso, Pedro Caldeira Cabral. Andy has created a repertoire influenced by Iberian traditions which he will present alongside Boccherini’s masterpieces. Northern Sinfonia Principal Players, This promises to be a superb final concert in our 2009-10 series with a programme of chamber music performed by the orchestra's principal musicians, for what will be their first appearance in Appleby. Northern Sinfonia have carved themselves a place on the top step occupied by Chamber Orchestras around the world and are based in the superb Sage Gateshead building on the Tyne - extract their top players and put them in a chamber group and expect a certain magic.